Defense Minister says there's no reason for Al-Jazeera to continue to transmit from Israel. Defense Minister Avigdor Liberman said on Wednesday that he was in favor of closing the offices of Qatari channel Al-Jazeera, after several Arab states did so. The Yediot Aharonot newspaper reported on Tuesday that Prime Minister Binyamin Netanyahu is considering closing Al-Jazeera's offices in Israel, and that the government press office, foreign ministry, and defense establishment began work on the matter. 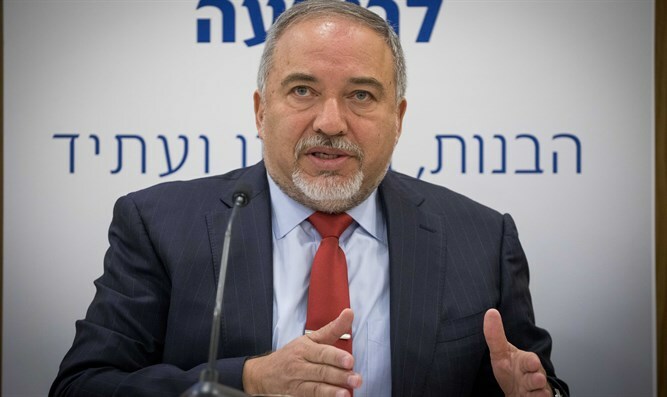 Speaking Wednesday to public radio, Liberman said, "There is no reason for Al-Jazeera to continue to transmit from Israel. It is not media, it is a propaganda outfit in the style of the Soviets or Nazi Germany." "All the reporting on Israel is biased and hostile, while the channel says nothing about Iran," he added. Asked when the channel's Israel bureau could be closed, he said they were seeking a "legal solution." Saudi Arabia and Jordan took similar steps in recent days as part of a larger campaign of regional Sunni Arab states against Qatar. Al-Jazeera has come under fire over its support for the Muslim Brotherhood. Egypt has accused Al-Jazeera in general, and its Egypt affiliate, Al-Jazeera Mubasher Misr, in particular, of doing Doha's bidding by serving as Islamists' mouthpiece at a time of a ferocious crackdown on their ranks.